Interesting selection to invest some time swimming in Villeurbanne. Is it not your very first time here? Tell us how it went utilizing the Facebook comments below or contacting us directly! 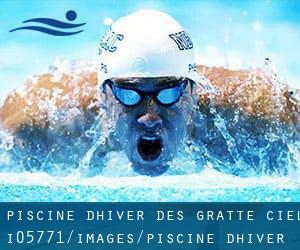 Piscine d'Hiver des Gratte-Ciel is only one of all the swimming pools Swimia is providing you, and its information has been shared with us by a swimmer like you.Keep in mind you may now promote Piscine d'Hiver des Gratte-Ciel by sharing this page with your friends, adding comments and linking to us. This sports center offers 20 meters x 9 meters, Indoors. For this Swimming Pool, only phone number is number here. Write down the GPS coordinates we've on our file for this Swimming Pool, so you can enter them into your GPS to assistance you locate the Pool easily. Updated on 2019 59 Rue Marcel Cerdan , Villeurbanne , FRANCE (Postal Code: 69100). Few days ago a common user of this center told us they offer Olympic size x 20 meters, 8 lanes, 1.8 meters uniform depth, 1.8 meters uniform depth, Indoors. Furthermore, they keep in good conditions 25 meters x 10 meters, 4 lanes, Indoors. For this Swimming Pool, only phone number is number here. Updated on 2019 96 Rue F. de Presseuse , Villeurbanne , FRANCE (Postal Code: 69100). Among all the activities supplied by the center, should you be considering swimming you'll enjoy 25 meters x 10 meters, 0.8 meters - 2.0 meters depth, 0.8 meters - 2.0 meters depth, Indoors. Just in case you need to contact this Pool before dropping by, we only know the phone number.